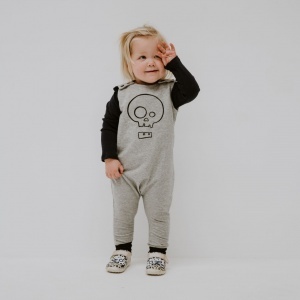 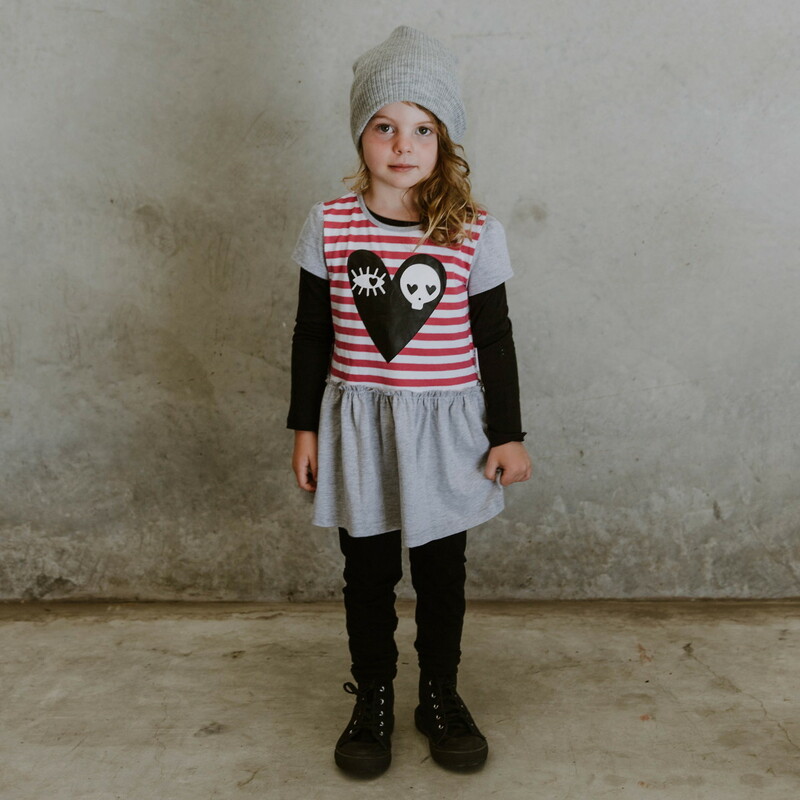 Another great transeasonal piece for your babes year round wardrobe. 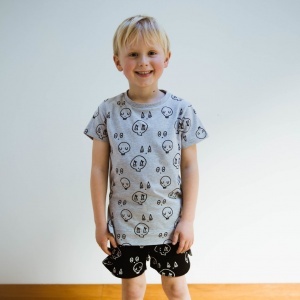 Wear by itself in summer, or layer over merino, tights, or pants during Winter. 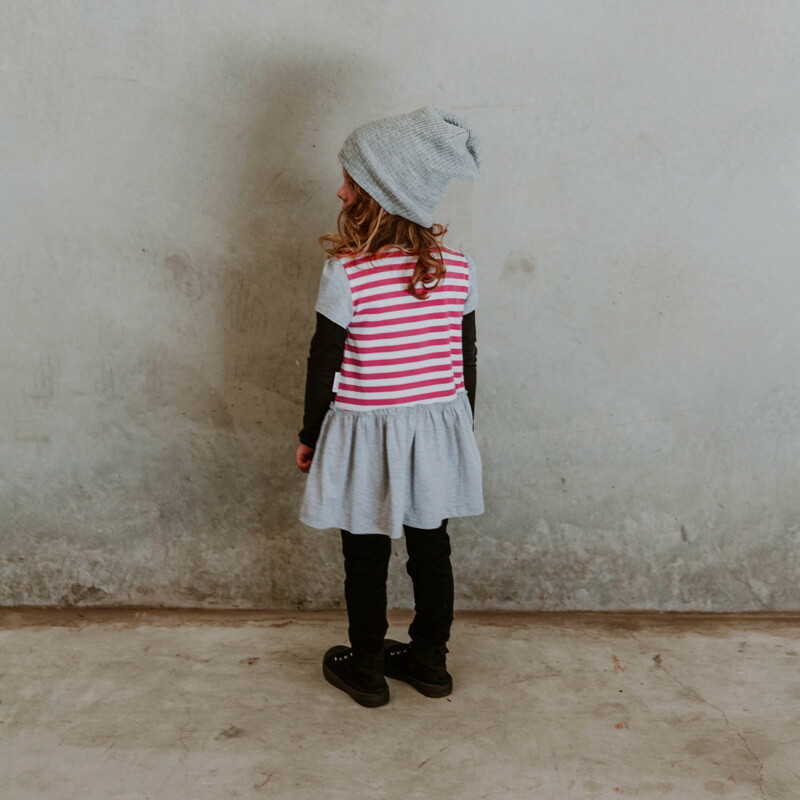 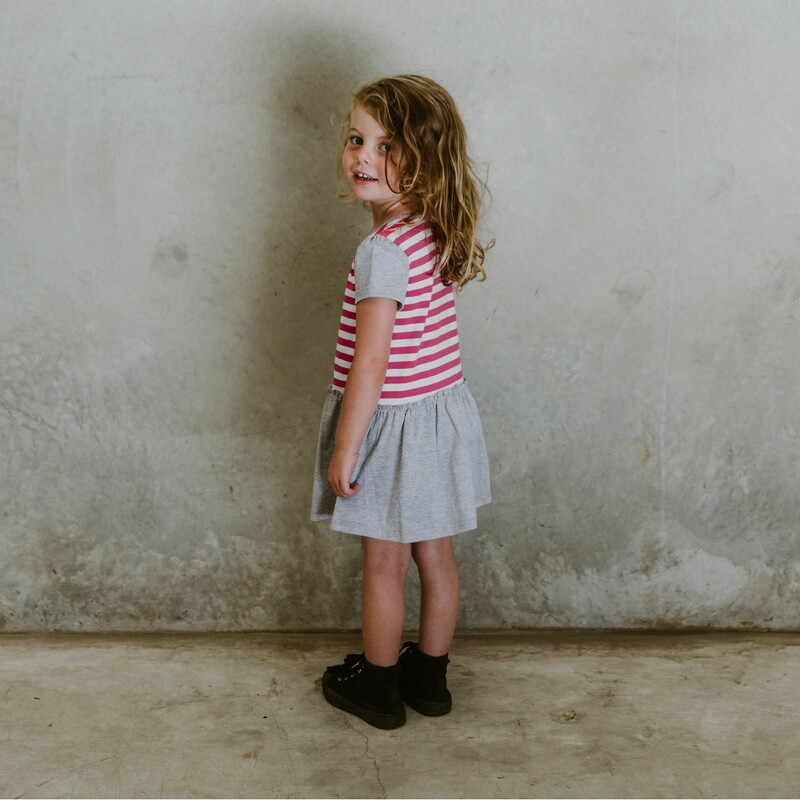 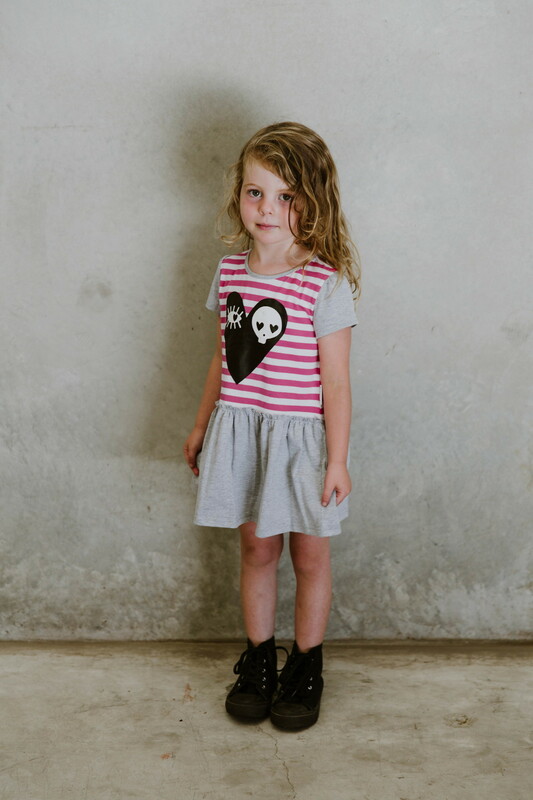 Plenty of room for layering and the dress can be worn as a tunic as your child grows taller.